Definition at line 70 of file llcameraview.h. Definition at line 171 of file llcameraview.cpp. Definition at line 177 of file llcameraview.cpp. 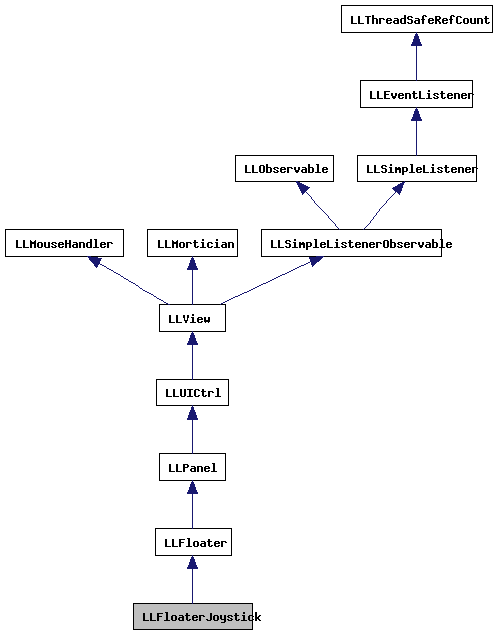 Definition at line 182 of file llcameraview.cpp. 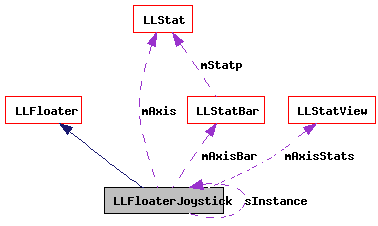 References LLStat::addValue(), LLFloater::draw(), LLWindow::getJoystickAxis(), LLViewerWindow::getWindow(), gFrameIntervalSeconds, gViewerWindow, i, mAxis, mAxisBar, LLStatBar::mMaxBar, and LLStatBar::mMinBar. Definition at line 250 of file llcameraview.cpp. Definition at line 203 of file llcameraview.cpp. References LLView::addChild(), LLStatView::addStat(), LLUICtrlFactory::buildFloater(), LLPanel::childGetText(), f, LLControlGroup::getBOOL(), LLPanel::getChildByName(), LLView::getRect(), gSavedSettings, gUICtrlFactory, i, LLFloaterJoystick(), llformat(), mAxis, mAxisBar, mAxisStats, LLStatBar::mLabelSpacing, LLStatBar::mMaxBar, LLStatBar::mMinBar, LLStatBar::mTickSpacing, LLFloater::open(), r, range, LLUIString::setArg(), LLContainerView::setDisplayChildren(), sInstance, and TRUE. Definition at line 256 of file llcameraview.cpp. Definition at line 86 of file llcameraview.h. Definition at line 87 of file llcameraview.h. Definition at line 85 of file llcameraview.h. Definition at line 84 of file llcameraview.h. Referenced by getInstance(), LLFloaterJoystick(), show(), visible(), and ~LLFloaterJoystick().